More recommendations for folks interested in exploring the original Doctor Who. Some are good, some, well... some aren't, but I think they're all important to see for one reason or another. Go back and read part one and part two if you're interested. We are firmly in John Nathan-Turner country now, boys and girls. Beware... things are going to get very, very gaudy from here on out. Davison's quieter, more compassionate Doctor can seem like a jarring transition from the big, boisterous, and often self-centered version portrayed by Tom Baker, and I think a lot of people overlook and/or underappreciate this Doctor as a result. 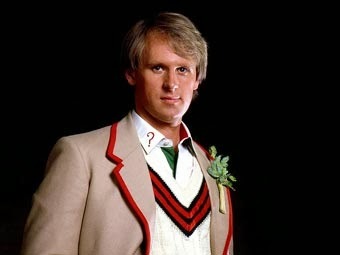 Davison was my first Doctor, though, and still a favorite as a result. Castrovalva – Davison’s debut. A bit uneven, but Davison really sells the post-regeneration crisis the Doctor experiences, including some decent imitations of his previous incarnations as his brain tries to settle itself. Some fun moments in the titular city itself, and if you recognize that the name comes from an M.C. Escher painting, you'll appreciate some of the plots shenanigans toward the end. Kinda - Basically, a Rudyard Kipling story in sci-fi drag, and though some people find it really weird, I think it's brilliant. Some good commentary in here about cultural imperialism, the nobility and power present in cultures we might immediately dismiss as primitive, and that old Who chestnut science vs. the military. Lots of spooky bits in the middle, and the script finally gives companion Tegan (Janet Fielding) something to do besides complain (and seriously, Fielding does all kinds of awesome things here... her best moments of her time on the series by far). Black Orchid – A real departure for this era of the show: a straight-out period murder mystery, completely free of science fiction elements save the regular cast and the TARDIS. Basically, it's like the Doctor crosses over into a particularly violent episode of Upstairs, Downstairs or Downton Abbey. It might not be everyone's cuppa, but it's an interesting diversion, and at just 2 episodes, it moves quickly. Arc of Infinity – Continuity-heavy and (mostly) Gallifrey-centered story that really depends on your having seen The Three Doctors, The Deadly Assassin, and The Invasion of Time before it, but still: Time Lords in funny hats! Plus, Colin Baker plays a Time Lord soldier a few years before he would be cast as Davison’s replacement, and he gets saddled with the most ridiculous helmet ever (seriously, did the Doctor Who wardrobe people just hate this guy or something?). Mawdryn Undead - The first part of a trilogy of stories featuring the return of villain The Black Guardian from the 4th Doctor's "Key to Time" season, but really you're going to want to see this one because it features the return of the Brigadier and a whole lot of timey-wimey. The Five Doctors – I talked about the 20th anniversary special back in the first post, but long story short: any weirdness aside it's a fun celebration of the series as a whole up to that point and a great place to start for new Whovians. Resurrection of the Daleks – The 5th Doctor's only on-screen run-in with the Daleks. And man, is it grim. 80s Doctor Who has a reputation for being really, really violent, and this story is one of the main reasons why, with what I believe is the highest on-screen body count in series history (though don't quote me on that). It's a good Dalek story and all, but man, it's dark. The Caves of Androzani –The 5th Doctor's final story is probably his finest hour, and in the eyes of many fans, the high point of the series as well. The curiosity he always complained would eventually get him in trouble finally does, and by story's end he pays for it, though nobly. This one's pretty grim, too, but not relentlessly so, and instead of a needlessly high death toll we get a fascinating mood established by the performances, lighting, set design, and scene/shot construction. It's almost sci-fi noir, and probably exactly the sort of thing the series should have been aiming for all along in this era. 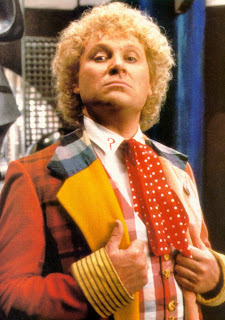 Look, Colin Baker’s era… it has problems, chief among them The Worst Costume in Television History (though it has grown on me over the years) and a script editor (Eric Saward) who preferred that the Doctor took a backseat to the Leatherclad Mercenary of the Week. Seriously, that man had issues... watch interviews with the man now and he's one big ball of bitter. This Doctor fares much, much better in the many audio adventures Colin Baker has recorded with Big Finish, but I think there’s at least some goodness to be found in his TV stories. The Twin Dilemma – Baker’s first story. Follows on directly from the end of Caves. I can't even say it's divisive or controversial because pretty much everyone hates it. But it's still Baker's debut, and I think he does a good job of portraying the Doctor in a real sense of flux and crisis. Vengeance on Varos – Violent and grim (lots of Baker stories are), but some sly commentary on TV programming and audiences make it worthwhile. Sean Connery’s son is in this, for what that’s worth. The Mark of the Rani - We're introduced to renegade Time Lady known as the Rani (played by Kate O'Mara), an amoral scientist experimenting on humans during the Luddite riots as she gets dragged into a typical Doctor/Master showdown very much against her will. Her performance here is wonderful, like an older Hermione Granger completely lacking a moral compass... the Doctor and the Master are up to their usual shenanigans and she is just over it and wishes they'd leave her be so she can get back to work. The Doctor's dueling disgust and admiration of her genius is fun to watch, too. The Two Doctors – Odd, grim, and needlessly bloodthirsty, but it's a chance to see Patrick Troughton as the Doctor one final time and though it's very hard not to wish the circumstances for that were better, it's still a blast to see him and Jamie palling around again. Physically they've aged, but in spirit it might as well still be 1968 for them. Plus you get to see some Sontarans strutting around in the campiest way possible, and that's always a good time. Revelation of the Daleks – Just plain weird, but worth watching to see the Doctor trade barbs with Dalek creator Davros. And also to see whatever the hell it is that Alexei Sayle from The Young Ones is doing. The Trial of a Time Lord – A season-long story made up of 4 smaller arcs retroactively known as The Mysterious Planet, Mindwarp, Terror of the Vervoids, and The Ultimate Foe. The Doctor is taken out of time by the Time Lords to be tried for crimes against Time Lord intervention laws, which is fitting because in the real world, the show was on trial with the BBC having just come off an 18 month hiatus and its continued future was in doubt. The stories are linked by courtroom sequences that some people find annoying (they do tend to hinder the progress of the individual stories being told), but the interplay between Baker, Michael Jayston as sinister prosecutor The Valeyard, and Lynda Bellingham as the Chief Inquisitor is a lot of fun. Jayston, in particular, makes a wonderful villain, even if his plots and motivations don't stand up to much scrutiny. Taken individually, Terror of the Vervoids is the best story of the bunch (another example of Doctor Who doing "Agatha Christie in Outer Space"), while Mindwarp is bizarre and a bit unsettling, but I enjoy the season as a whole. McCoy is almost two different Doctors unto himself, given that he spends his first season as a malapropism-spouting, spoon-playing clown, the his final two seasons as a master manipulator, working situations, monsters, guest stars, and even his own companion like a chessmaster. Either way, the man can roll his Rs like nobody's business. Remembrance of the Daleks – The 25th season starts out with the Daleks and a return to the setting of the first episode not long after the Doctor and crew originally left Earth. Lots of references to 1963 England (good and bad) in general, and to the origins of Doctor Who in particular (with a nice little Easter egg or two for fans of another British sci-fi mainstay, Prof. Bernard Quatermass, thrown in for good measure). Truthfully, it's a better celebration of the show's anniversary than the actual 25th anniversary story, and probably my favorite Dalek story of the original series. If you watch just one McCoy story, make it this one. Silver Nemesis – The actual 25th anniversary story. The Cybermen, a time traveling Lady Macbeth type who knows the Doctor, and neo-Nazis converge on Windsor Castle in 1988 in anticipation of a crashing comet which has ties to the Time Lords and, it is strongly hinted, the secret history of the Doctor. Weirdly repeats a lot of the plot beats of Remembrance of the Daleks, so maybe don't watch them back to back. Battlefield – It's old home week with this big love letter to the 3rd Doctor era featuring the return of UNIT, the Brigadier coming out of retirement for one last (on-screen) adventure with the Doctor, and Jean Marsh (who played former first Doctor companion Sara Kingdom) in the role of Morgaine LeFay, leading a group of knights from an inter-dimensional Camelot. Ghost Light – BIZARRE haunted house story. The plot is kind of hard to describe, but it's important to the ongoing story of the Doctor's companion Ace (Sophie Aldred), so if you find yourself invested in her character growth, it's worth watching. The Curse of Fenric – An ancient (though heretofore unseen) enemy of the Doctor returns with a plot that has actually been playing out throughout most of this era. 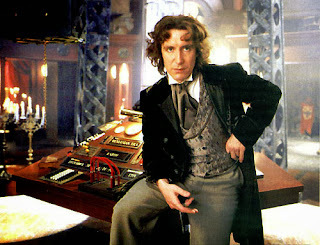 The Doctor, on the other hand, shows just how far he's willing to go to fight it, even if it comes at a personal cost. Survival – Some people like this one a lot, but I kind of don’t. But it’s the final episode of the original series, it's the last time we see Anthony Ainley as the Master, McCoy gets a few great, yelly speeches, and the closing monologue is brilliant and a bit inspiring. Doctor Who (a.k.a. “The TV Movie") – This movie was co-produced with the Fox network in hopes of being a pilot for a new series in both the US and the UK. It wasn’t picked up in either place, unfortunately, and over the years it has taken a lot of heat for the look, feel, and tone of the story (it's very 90s, very American, and very Fox) and for some of the "revelations" sprinkled into the plot which the spin-off media have backpedaled furiously away from ever since. 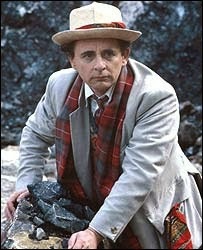 But McGann is great as this newer, energetic, more passionate Doctor, Eric Roberts, of all people, chews the scenery with utter glee as the Master, Sylvester McCoy shows up at the beginning to hand over the reins of Doctorhood, and a lot of the things that people complained about at the time (GASP! The Doctor kissed a... g-g-g-girl!) are pretty commonplace in the new series and hardly anyone bats an eye at it now. Worth a look to see what sorts of things made it over into the newer, successful revival, and to think about what this could've been had it continued. And that, kids, is it. There's lots more classic series Doctor Who-related media to consume, of course, in the form of novels, comics, computer games, and audio dramas from both Big Finish and the BBC, though there's always some debate on how "canonical" any of those can be considered (although Big Finish looks to have gotten a big thumbs up thanks to a line in "The Night of the Doctor"). That, however, is a post for another day. In the meantime, get out there and watch some Doctor Who!